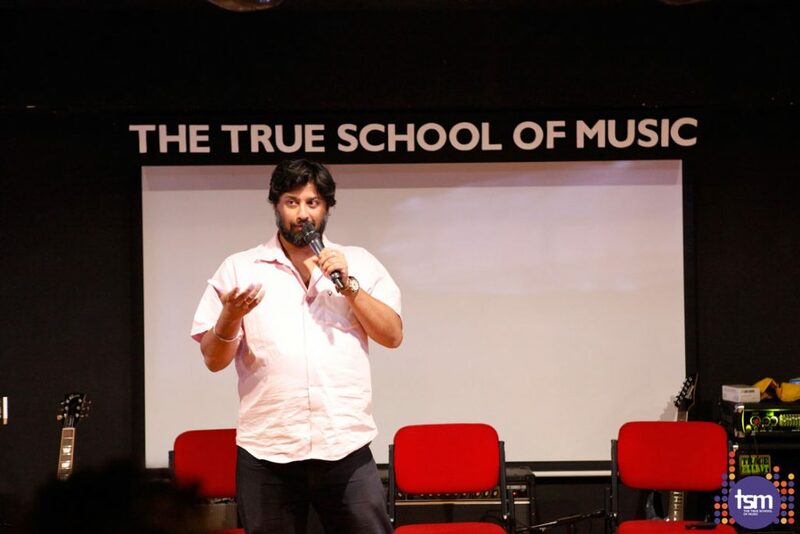 This is a glossary designed to educate any reader who is interested in learning about the various terms and jargon used in the world of Audio Engineering & Music Production. This glossary would be regularly updated with newer words. Control Room – Control Room is a room, which is a part of a studio setup. Control Room or CR is the room where the Audio Engineer operates. This room consists of all the equipment used for Recording, Editing & Mixing audio content. Equipment such as mixers, recorders, audio processors, monitor loudspeakers etc. is installed in this room. Choice of equipment is dictated by the budget, engineer preference and the demands of the local industry. In the interest of achieving an environment conducive to high quality audio production this room must be sound proofed, depending on budget the construction method could range from simple drywall partitions to sophisticated floating concrete isolation shells. Specialized Door and Window designs are employed. 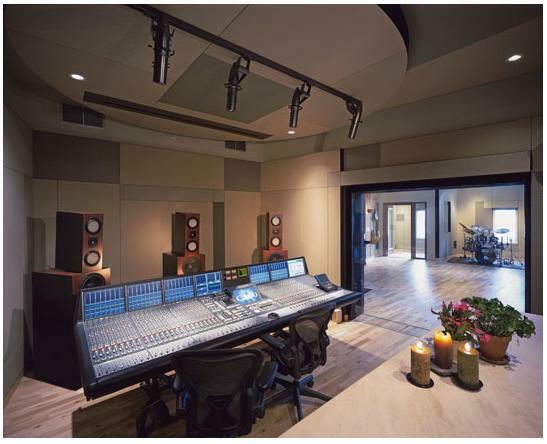 Ideally a control room must feature ductable air conditioning systems that are quieter due to the machine being sited far from the studio area. 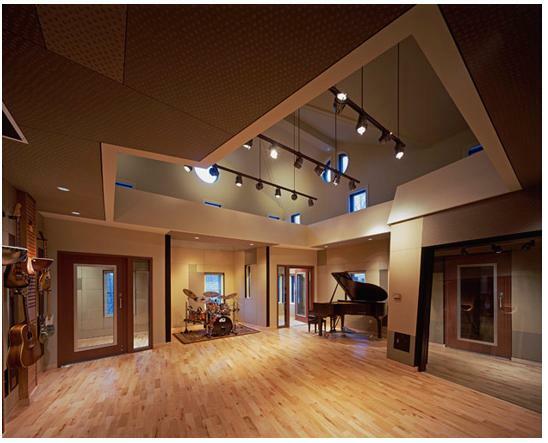 Another point to note is that the room must be acoustically treated to create an acoustically pleasing environment, this is done by using different tools such as absorbers, resonators and diffusors. 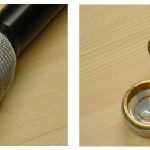 Dynamic Microphone – Dynamic microphone is any microphone that utilizes the principle of electro magnetic induction to operate. There are two designs that use this principle, Moving Coil microphone and Ribbon microphone. Moving coil mic uses a PVC diaphragm with a copper coil attached, this ‘voice coil’ is immersed in a magnetic circuit. 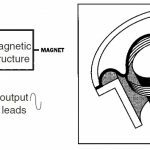 The diaphragm vibrates when subjected to a sound wave, the coils moves in the magnetic field thereby inducing a signal on the voice coil, which is terminated to the mics output. The ubiquitous Shure SM 58 is example of a moving coil microphone. Ribbon design is similar in concept, the main difference being that a long and thin strip of aluminum is used in the magnetic circuit instead of the diaphragm and coil assembly. Royer R 122 is a popular ribbon mic. The name dynamic is derived from the word Dynamo. Dynamic mics, especially moving coil mics are rugged in design, can handle high sound pressure levels but create low signal levels and are not good at capturing high frequency information. 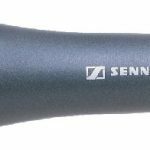 Condenser Microphone – Condenser mics, originally referred to as capacitor mics use the principle of capacitance to operate. The mic capsule is designed to function as a capacitor. The diaphragm is a PVC disc covered by a very thin layer of gold, parallel to the diaphragm is a gold covered ceramic disc. These two discs function as the two plates of a capacitor. The air gap in between acts as the dielectric. A DC voltage is supplied to this ‘capacitor’ to create a capacitive field between the plates. When the plates are at their default position, the mic capsule has only the DC polarizing voltage at the output stage. When the capsule is subjected to a sound wave the diaphragm (front plate of the capacitor) moves in sympathy, this movement creates variation in the capacitance across the mic capsule, this in turn modulates the polarizing voltage and an AC component is generated which is the audio signal. Using the appropriate output circuitry this Audio signal is sent out from the mic. The polarizing voltage is standardized at 48 Volts DC. This voltage is generated by the microphone preamplifier and sent to the mic across the mic cable itself. The polarizing voltage is therefore called ‘Phantom Power’. Condenser mics have high sensitivity and wide frequency response. They are the primary choice for studio applications. Some condensers are delicate in design and can be damaged by rough usage, condensers can also be affected by moisture and dust. AKG C414 is an example of a condenser microphone. XLR Cable – XLR cable is dual core shielded analog audio cable that has been terminated to XLR connector at both the ends. XLR cable is most popularly used to connect microphones. XLR mic cable is balanced audio cable. Balanced audio connections are immune to stray electro magnetic interferences. Professional mics feature a balanced XLR male output connector. Professional mic preamplifiers feature balanced XLR female inputs. A male to female XLR cable must be used to make a balanced connection between the mic and the preamp. XLR is a 3-pin connector, Pin 1 is connected to the cable shield and is grounded on the equipment side, this is termed as ’External’. Pin 2 is used for positive signal potential (termed as Live) and Pin 3 is used for Negative signal potential (termed as Return). XLR mic cable is generally designed with a thick jacket so as to make the cable durable for every day use. XLR connections are used for line level connections as well, for example XLR monitor out of a sound card can be connected to the XLR input of an active monitor. In live level connections one can make use of dual core shielded line cable that generally features a thinner jacket. In XLR connections Male is always output and Female is always Input. Refer to Neutrik Connectors web site to learn more.